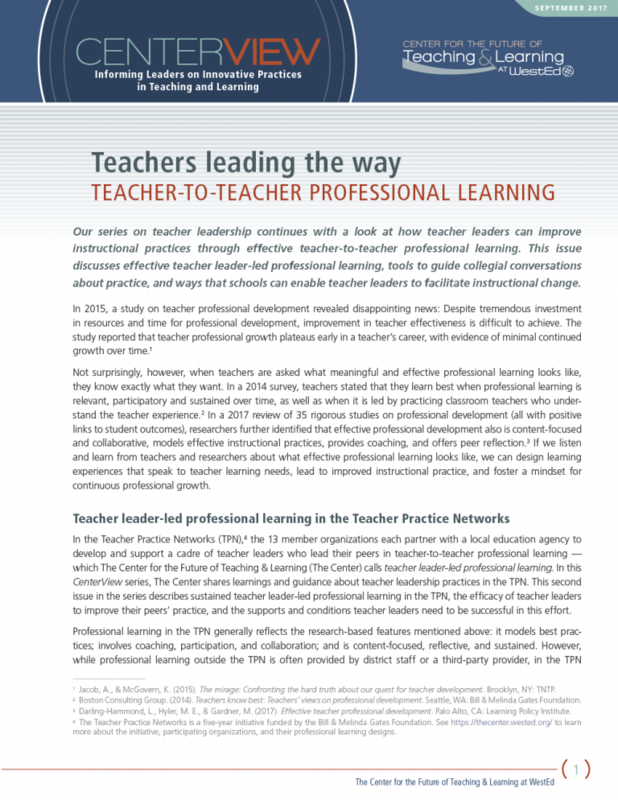 Teacher leaders are positioned to help other teachers reflect on their practice, try new pedagogical approaches, and work through instruction-related struggles — ultimately, leading to a change in instructional practice. 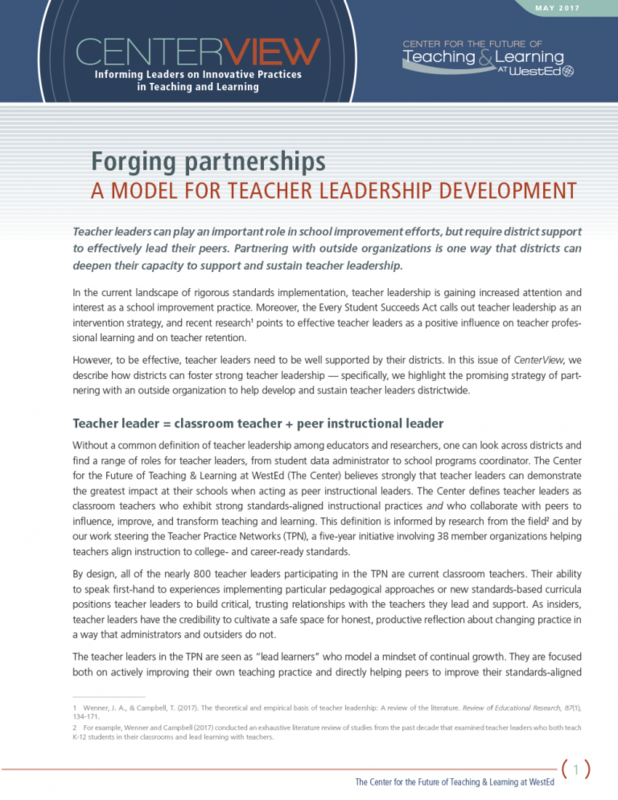 In order to be effective in their new leadership roles, however, teacher leaders need support in developing leadership skills and require site-level conditions that foster teacher-to-teacher professional learning. 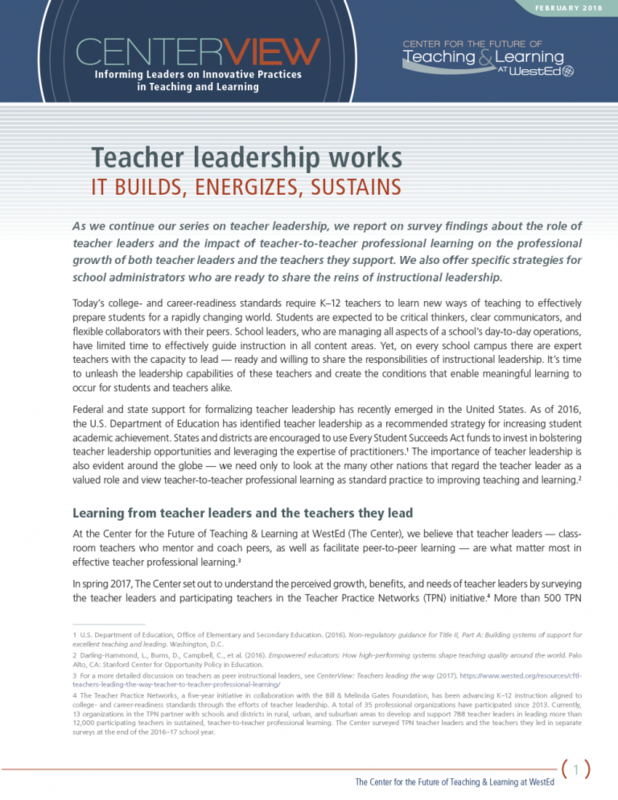 This CenterView issue looks at how teacher leaders are enacting teacher leader-led professional learning and what school administrators can do to support and sustain this impactful approach to improving teaching and learning. 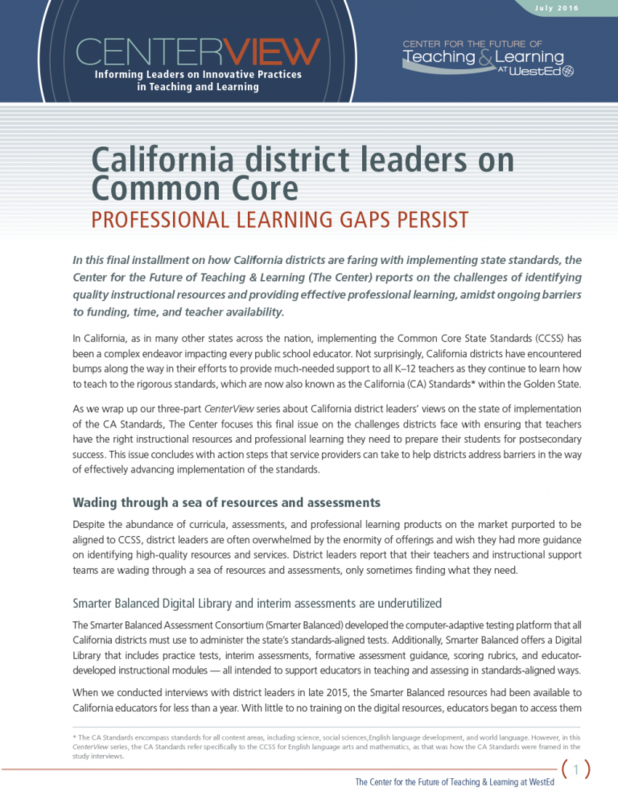 Download other CenterViews sharing knowledge from the Teacher Practice Networks.